Description: Join Natalie, a beautiful girl with gleaming golden hair as she preps her beauty treatment in this awesome real-makeover. Apply masks and cleanse her face, then choose your favorite make-up. 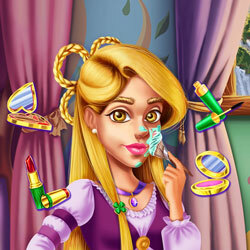 Finally, pick the perfect outfit fit for a princess.